Amarone wine is a dry red wine DOGC (guaranteed and controlled designation of origin), which is only produced here: in the Valpolicella. Amarone derives its own name from the adjective “bitter” that distinguishes it in flavor from its sweeter brother, the Recioto. Upon drinking the Amarone in the 1930s, captain Adelino Lucchese exclaimed: “This is not an Amaro, it’s an Amarone!” despite its world renown, Amarone has a very recent and almost “Random”, origin. It is said that the Amarone della Valpolicella was born from a forgotten barrel of Recioto, in which the natural yeasts present in the wine continued to ferment and subsequently transformed all the sugar into alcohol, making the sweet Recioto into a dry wine. At the time this was considered an abberation, as historically Recioto was considered very prestigious wine. However, this was certainly a ‘Happy accident’ because in just 70 years Valpolicella’s Amarone has become truly famous and appreciated throughout the world. The same process of long fermentation to transform the sugars applied accidentally all those years ago, is still undertaken today to produce the Amarone wine, using the same grape varieties of Corvina, Corvinone, Rondinella, Oseleta and Negrara. The grapes are hand selected during the September harvest, giving special attention to the highest quality, more loosely packed, aerated bunches which are spread out in stacking crates and air dried in carefully monitored conditions until the majority of the liquid has evaporated. In January the concentrated grapes are pressed, and the high sugar concentration of the berries allows the complex structure of the Amarone to develop. This is known as the appassimento process. Concerning the difference between Amarone and Recioto The Amarone of Valpolicella can be seen as the brother of the sweet Recioto: both wines are made from dried grape varieties of Corvina , Corvinone, Rondinella, Oseleta and Negrara, harvested manually in September and then naturally dried in crates. In this way, the juice contained in the berries concentrates naturally and in January, when the grapes are then pressed, the sugar concentrations are very high and this allows this well structured and important wine to develop. 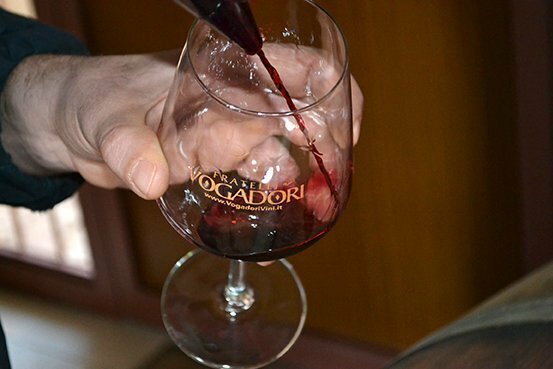 The main difference between the two wines, the Amarone and the Recioto, lies in the fermentation: in the Amarone all the sugar is transformed into alcohol, therefore obtaining a structured, decisive and robust wine. In Recioto, however, the fermentation is interrupted half way so as to obtain a dessert wine, with higher sugar ratio. 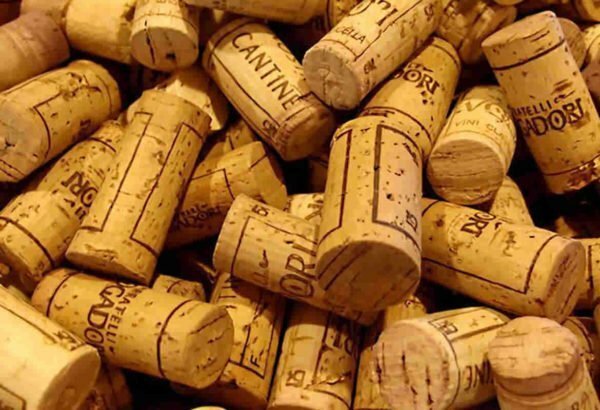 The production of the king of the Valpolicella wines in the Amarone winery lies in the error that brought it to light, namely that, as it was overlooked for a long time, the fermentation in the barrel was not interrupted. The grapes that compose the Amarone are carefully chosen by controlling the state of health either individually in the grapes and in their peel, or in the air circulation around the entire bunch, selection only the more loosely packed, and thus aereated bunches. The selected bunches are distributed into stacking crates in a drying room, where all the favorable and necessary conditions are in place to ensure a proper drying process lasting about 120 days with constant care and attention. During this phase, the water contained in the grapes slowly evaporates, increasing the concentration of sugars. The grapes are then pressed and left for a slow, but complete, fermentation. The result is an elegant complex and rich wine. The Amarone della Valpolicella is a wine that does not always need matching, it is considered a meditation wine, which alone gives the best of itself in its strong flavors and its fragrances. In any case, before tasting it, it is advisable to decant the Amarone a few hours in advance so that the wine can breathe and reveal its true potential. With its strong flavor and high alcohol content, the traditional Amarone is perfectly matched with meats and cheeses, while the Amarone Forlago from the Fratelli Vogadori Amarone Winery can also be appreceated during the relaxing time at the end of a meal.